It probably comes as no surprise that we're all storing more data. But just how much of an impact is this having for businesses. 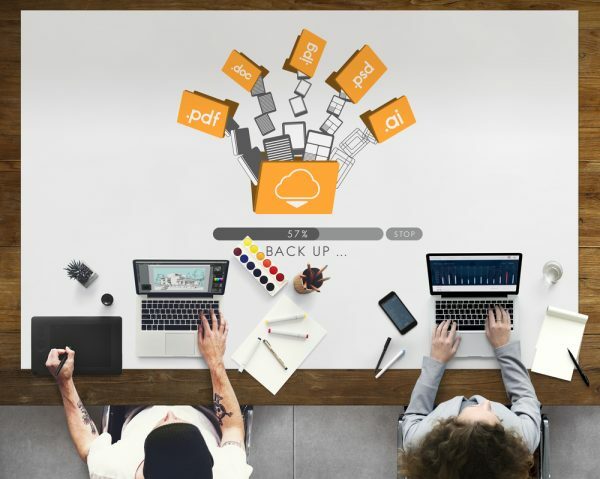 Enterprise file sharing specialist Egnyte says 82 percent of businesses are hybrid-enabled, keeping their data both physically backed up and in put into cloud storage. This is up from 76 percent in 2016. The company analyzed 14 petabytes of data to discover what companies are actually storing and has released the results as an infographic. It finds the average file in 2015 was 2.59 MB -- in 2017 it was up to 3.13 MB (a 20 percent growth year on year). Small businesses have an average file size in 2017 of 2.18 MB, and enterprises average 5.57 MB. File sizes vary by industry as you might expect. Media and entertainment companies average 7.7 MB per file, Food and hospitality companies average 5.79 MB, and retail companies average 4.37 MB. Consequently businesses have increased the amount of storage they have by an average of 55 percent year over year. Video storage increased by 43 percent, images by 29 percent, and text and documents by 32 percent. You can see the full findings in the graphic below.